There is a surprising amount of jargon surrounding the subject of gray hair and the gray hair transition process. It can be confusing when you are a newbie. So, here are some links and explanations to help us figure all this out. 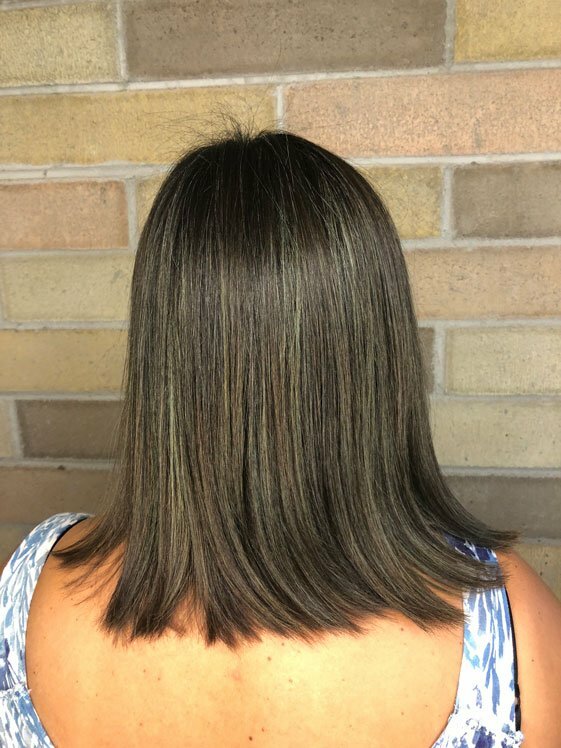 Balayage is one of the salon techniques that some women choose to make their transition to gray more seamless. This article explains balayage better than I ever could. Basically, it’s like a hand-painting technique to make your grays blend in while you grow them out. Foils are not used. Monique Parent made this video, which shows the beautiful balayage she received on her already gray hair to give it some oomph. That brassy orange/red/copper color that appears when dyed brunette hair fades. See that coppery red tint in my fading dyed hair? That’s blorange! I’ve been pronouncing it to rhyme with “orange”, but I’ve heard other ladies say “blore-ahhnj” (putting kind of a French twist on it). That sounds better and more sophisticated, but BLORANGE (rhyming with ORANGE) makes me laugh, so I’m sticking with it. 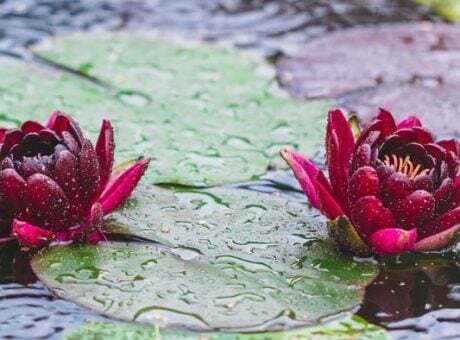 If you want to tone down the blorange, remember to check out this post I did for brunettes. Check out this product list if you have brassy dyed blonde hair and need recommendations. Multi-colored hair that occurs when you transition cold turkey and your hair becomes a nutty mix of dyed and natural shades. Most of us use the term “calico” due to calico cats, but I saw a lady on a post who compared her hair to an Australian Wild Dog! It seems like a less flattering term to describe one’s hair (but hilariously apt some days!). 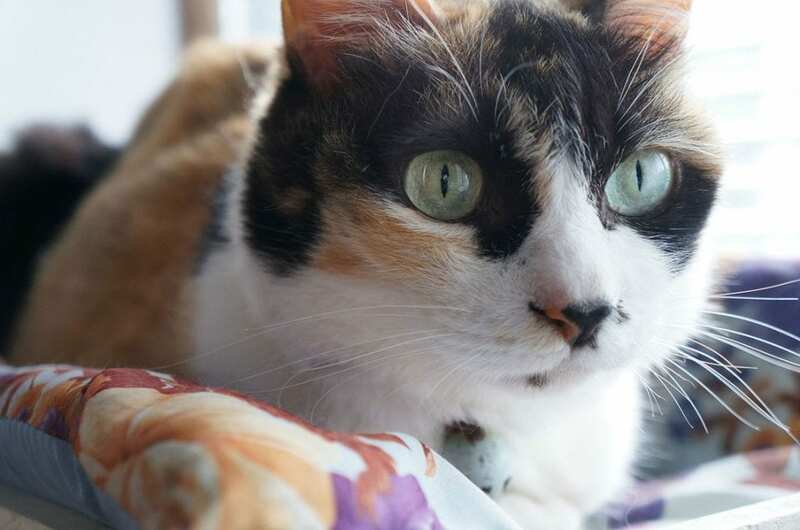 This, my friend, is a calico cat. The line that appears between your gray hair and your dyed hair. 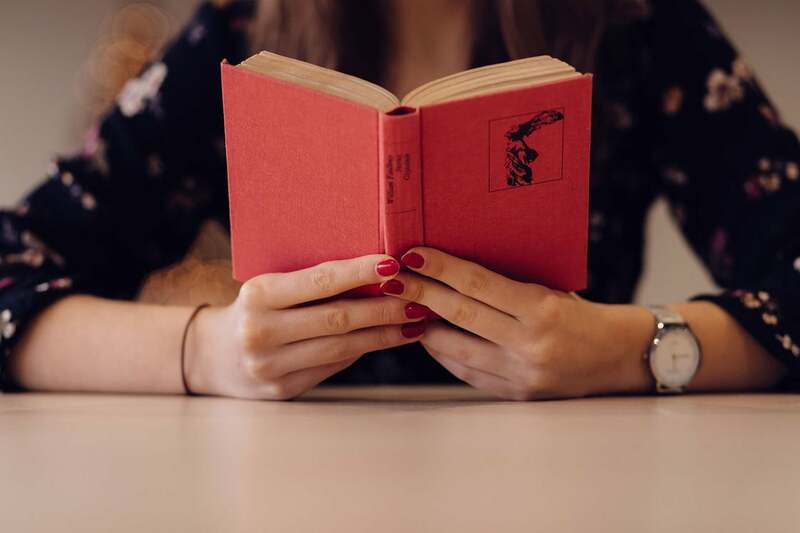 It’s more apparent if your dyed hair is brunette since the contrast between your gray roots and your dark roots can be stark. 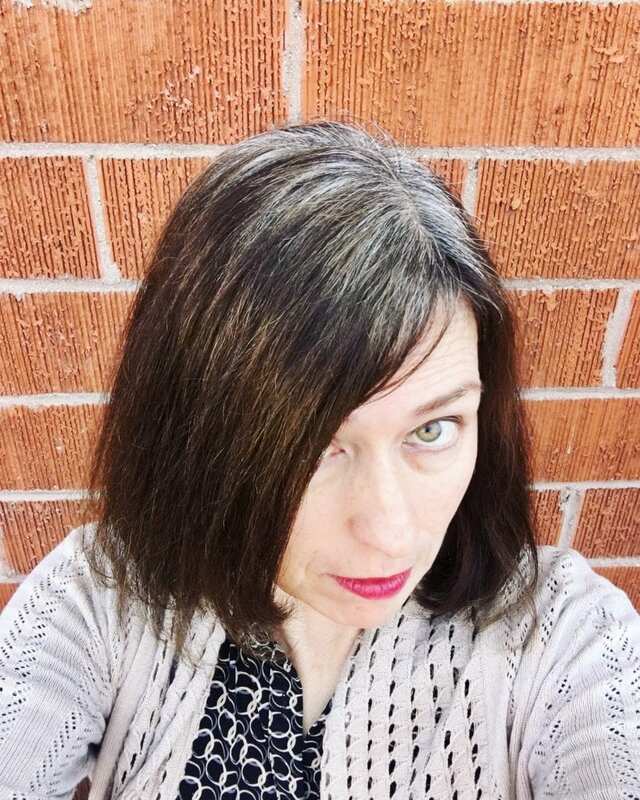 But, before you freak out too much about the demarcation line, let me reassure you: Your dyed hair will fade, and as it fades, it starts blending in with your silvers. My demarcation line was VERY obvious at first (a true skunk stripe! ), but not as much now that I’m at 6 months post-dye. 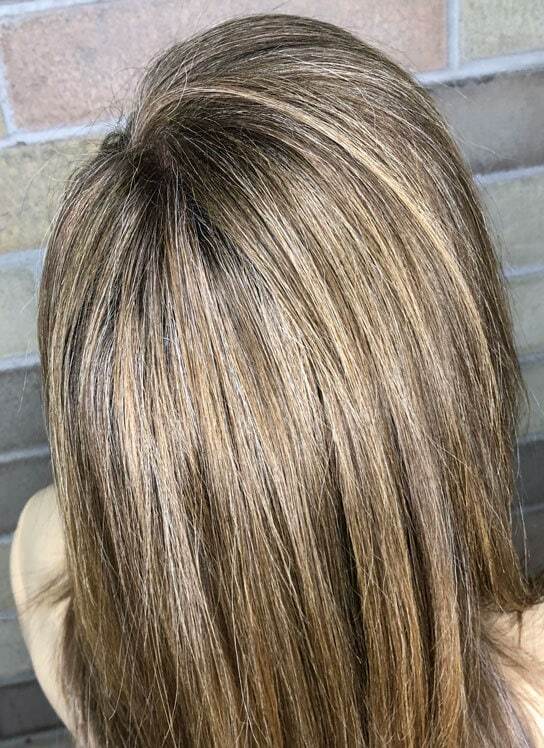 The demarcation line doesn’t bother me, but if it bothers you, that’s when you might want to consider the balayage or highlights/lowlights route. 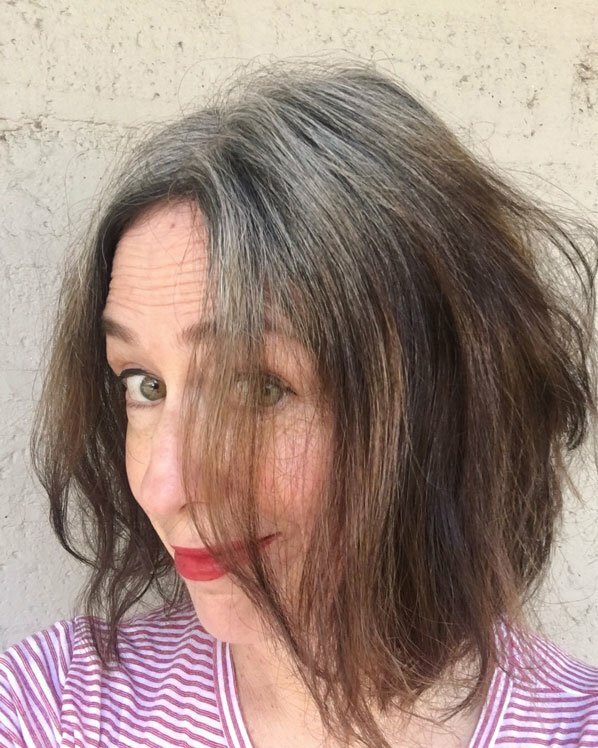 Farah Hurdle, of Maida Salon in San Diego, specializes in this treatment, which she uses to blend gray hair with dyed hair to help ease the transition to fully gray hair. 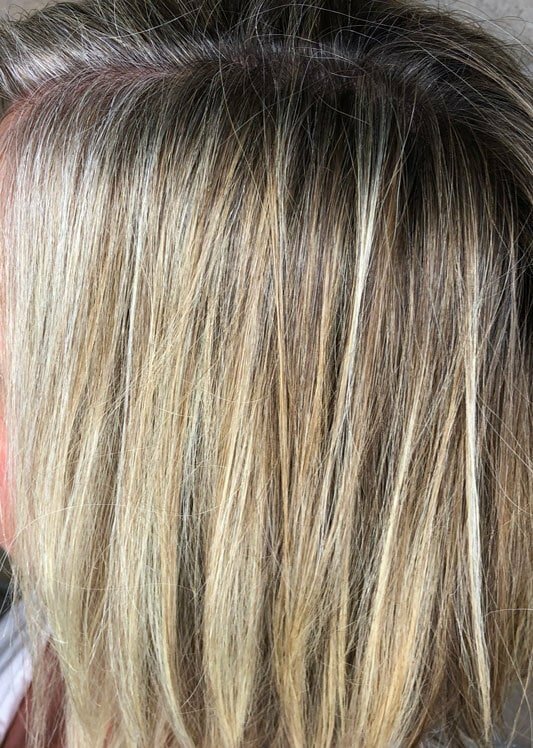 Confused about the difference between Balayage and Highlights/Lowlights? This article in Elle explains it. Basically, the main difference seems to be that balayage is hand-painted and doesn’t require foils, unlike highlights. If you are going to go gray cold turkey, you don’t need to worry about any of this. 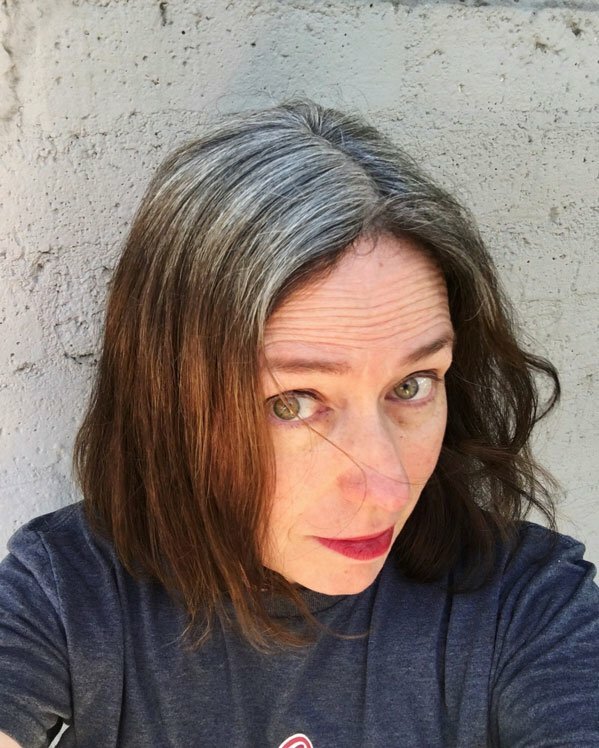 But if you choose to get a salon to help you with your gray transition, I suggest you check out the gray hair Facebook groups to read about the experiences other women have had with these techniques. Some have been good, and some have been bad. Some hair works better with these techniques than others, so consulting an expert (and other women who are transitioning) is a safe way to move forward. 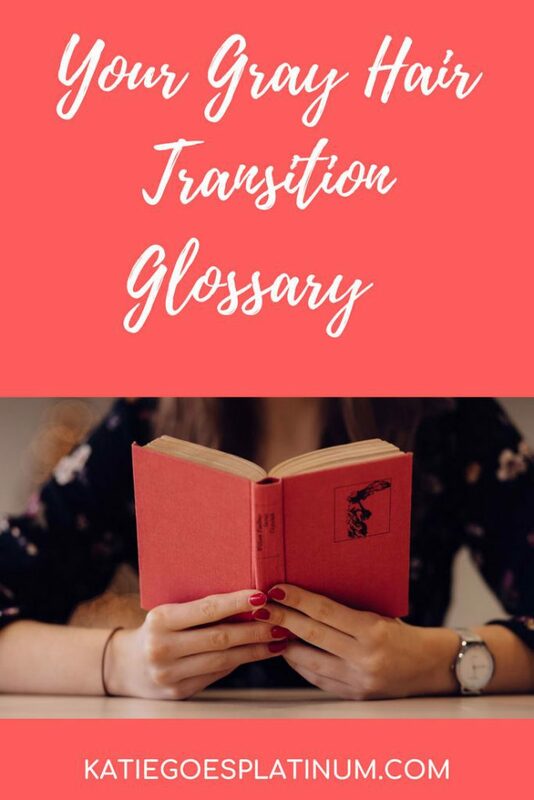 If you don’t yet have a supportive stylist to help you in your transition, make sure to check out my Gray Friendly Salon Directory to find one in your area! This is what happens when your gray hair grows out, and the dyed hair at the end is much darker than the natural gray hair at the top of your head. Bek’s lovely transition photos show you the progress of her reverse ombré. 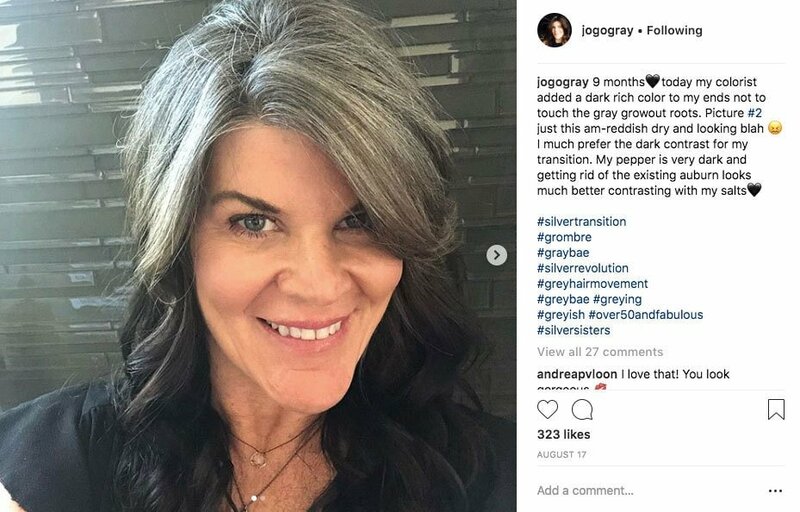 Interchangeable with “grays.” Lorraine Massey popularized this in her book Silver Hair: Say Goodbye to the Dye and Let Your Natural Light Shine: A Handbook. Gray Haired Men: Think Anderson Cooper, George Clooney, and John Slattery. Gray Haired Women. Think Helen Mirren, Jamie Lee Curtis, and Emmylou Harris. Gray or Grey, which is correct? In other words, if you don’t want to scare the pants off your friends, relatives and silver sisters – please check your spelling first! That’s it for today. Did I forget anything? Please let me know in the comments. Thanks! How To Make Your Cold Turkey Gray Hair Transition Fun! I cannot imagine going through this process without your information. Thank you so much! I wasn’t really sure what I was doing when I decided to stop dyeing my hair. Now I’m scrambling to gather knowledge and piece together my plan. And on a personal note: your eyes are GORGEOUS! Thank you, Mary! So glad this is helping you. And thanks for the nice compliment! My eyes used to be hazel, but they are learning more green these days. Kind of fun!